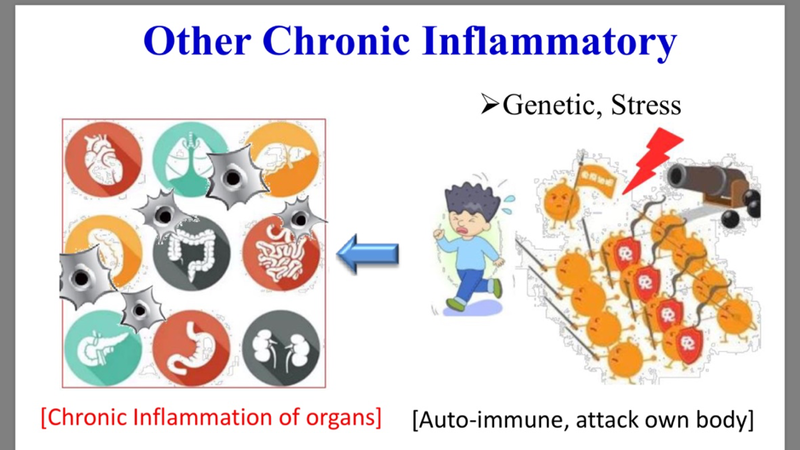 Our immune cells can attack our own body cells under conditions of stress or due to genetics. 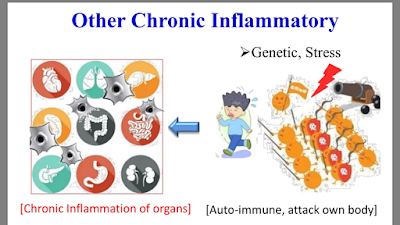 The attacks can happen on any organ in our body (as the immune cells are all over the body), thus causing chronic inflammation under the category of auto-immune system disorders. Some common ones are rheumatoid arthritis, SLE, hyperthyroidism, nephritis, allergy etc. 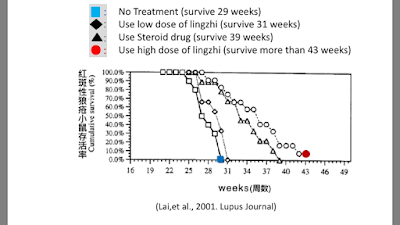 In a study by Lai (Ning Shen), et al., published in the Lupus Journal in 2001, it was proven that Ganoderma tsugae (Yung Kien Ganoderma) can prevent autoantibody formation and prolong the survival rates of lab mice with lupus condition. 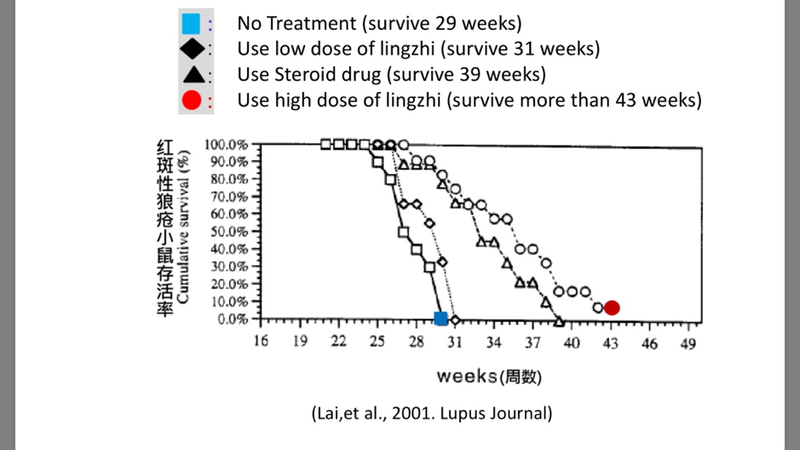 In the experiment, mice with lupus were divided into 2 groups and fed with prednisolone steroids or Gannoderma extract. - showed evidence of decreased perivascular and parenchyma mono-nuclear cell infiltration in vital organs. A study by Pi, et al., was published in the SpringerPlus Journal in 2014. 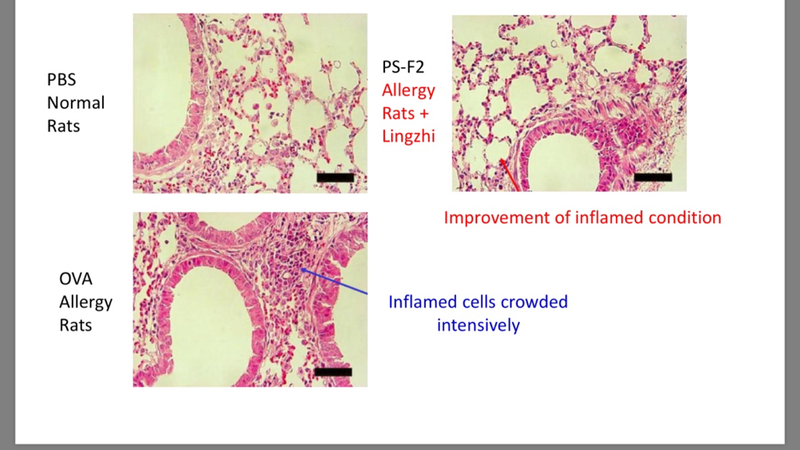 Allergic asthma is an inflammatory disease of the airways mediated by Th2 immune responses and characterised by airway hyper responsiveness (AHR). The study found that the polysaccharide component of Ganoderma formosanum stimulates the activation of dendritic cells and primes Th1 cells. Do you want to find out how to read the images? If you are new to my blog and want to find out more, please email me at askfuiping@gmail.com for a FREE consultation on how you can improve your auto-immune condition, including asthma, lupus and skin allergy.